Bangalore: Indigo 91.9, the radio station for a Fun Young Bangalore, has entered the Limca Book of Records for being the only station to have their RJs form a band and jam live on stage. On World Music Day last June, RJs from an Indian radio station, Indigo 91.9 FM, came together for the first time ever, to form a band and perform live in front of a packed audience. 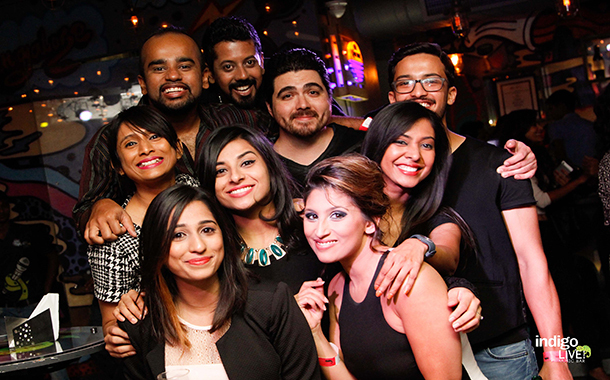 The RJs and the team put together a memorable show for their fans at Bangalore’s favourite music and entertainment destination – Indigo Live Music Bar. Last year’s World Music Day saw the Indigo RJs and the team host the show as well as sing popular numbers from every decade since the 60s, whilst at the same time showcasing the Fun Young element that station is known for. Giving fans an opportunity to catch them in action, the squad took center stage and have now made it to the Limca Book of Records.